Al Mugno Equipment Finance Sales Executive	 I was born in Brooklyn, New York and raised in Northport, Long Island. I am the oldest of 4 children and have 2 younger brothers and a younger sister. We all live in Long Island within 5 miles from each other and our parents. I graduated from Iona College with a bachelor’s degree in business administration, majoring in marketing. While in college I played and lettered in Ice Hockey. In 2000 I married my college sweetheart, Laura. Together we have two boys, Michael who is 13, and Christian who is 10. Both boys play competitive baseball, ice hockey, lacrosse and golf which requires us to travel often. My wife and I love supporting our boys and watching them compete. My hobbies include spending time with my family, golfing, coaching and collecting sports memorabilia. 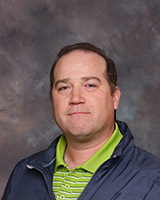 Here at Med One I am an Equipment Finance Sales Executive, and a member of the field leasing sales team. I love the culture at Med One and am honored to be a member of such a special team. I am grateful for the opportunity to work to provide creative finance solutions for our customers. 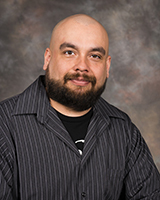 Brian Gentry Biomed Repair Technician I was born in Westminster, California but grew up and spent the majority of my life in Riverside, California. I joined the Army at the age of 18, my job was to repair electronic systems in tanks. I served 2 tours in Iraq before returning to Riverside. I moved up to the Bay Area in 2009 and am currently living in Union City. I met my amazing wife Caroline in 2013 and we now have 2 beautiful kids. My son Jacob is about to be 3 years old, and my daughter Katie is 7 months old. My son and daughter are my world and I cherish every second with them. My son loves dinosaurs so much that he won’t leave the house unless he has some sort of dinosaur clothing on. Most of the time he leaves the house wearing a dinosaur hat, shirt, shoes, and backpack. My daughter is in that calm stage where everything makes her laugh and smile which completely fills my heart with love. My wife is a dental assistant and ensures that everyone in the house has very clean teeth, even though my son’s argument is that dinosaurs never brush their teeth and they are still awesome. My passions include spending time with my family, going to concerts, and cooking/barbequing. I attended ITT Technical Institute and graduated with a bachelor’s degree in electronics engineering and communication technology. I have loved electronics since I was a little kid and was fixing VCR’s, TV’s, and other household appliances at a very early age. After I received my degree I bounced around Silicone Valley for a couple high tech companies but never really found my dream job until I joined Med One. I have happily worked here in the Hayward branch as a Biomedical Technician for 3 years and plan on being here for as long as Med One will have me. I spent most of my first year at Med One travelling around the U.S. getting certified to repair and troubleshoot the majority of equipment that we have here in this office. One of the best parts about working here is getting to troubleshoot a large variety of equipment. Even to this day I still find equipment coming through our doors that I have never seen before. The very best part about working for Med One is the culture, it’s something I have never experienced in my life and absolutely love it. I look forward to being a part of Med One for a very very long time. 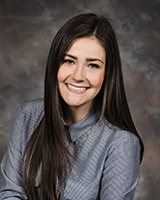 Brittani Esplin Marketing Assistant	 I was born in Salt Lake City, Utah and grew up in the city of Riverton. I am the oldest child in my family with three younger brothers. My family is very important to me and I love spending time with my parents and brothers. Together we enjoy watching baseball, playing board/card games, and being outside. I graduated from Utah Valley University in December of 2016 with a bachelor’s degree in public relations and a minor in digital media. I was very involved in the student leadership organizations on campus and I loved my time at UVU. Just recently, September 14th, 2018 I was married to my best friend Kyle Esplin. He is studying Mechanical Engineering at Brigham Young University and will graduate this coming April. In my spare time I enjoy design work, reading, traveling, trying new restaurants and working on our "fixer upper” home with my husband. I started working as the Marketing Assistant at Med One June of 2017. I create content and designs for the marketing materials at Med One including this Med One to One publication. I work with the leasing, rental, and sales team members to help set them up with the marketing materials they need as they meet with customers, along with other marketing tasks. I have learned so much in my time at Med One. I really enjoy my job and the people I get to work with every day.